A drunk who caused a plane to be diverted after he threatened and abused cabin crew and passengers has been jailed. Toseef Qureshi was given a four-month sentence over his behaviour on board a Jet2 plane from Leeds Bradford Airport to Turkey. 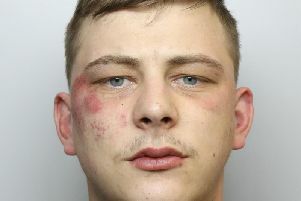 Leeds Crown Court heard the captain took the decision to land at Budapest as he feared for the safety of the aircraft. Dave Mckay, prosecuting, described how Qureshi ordered drinks soon after the plane took off from the Yorkshire airport on August 29 this year. The prosecutor said Qureshi ordered two bottles of vodka, a bottle of champagne and a “wife beater”, which the cabin crew member serving him took to be Stella Artois. Qureshi shared the drinks with people sat around him but a short time later got to his feet and demanded more champagne from the cabin crew member. The court heard Qureshi continued to be abusive and also argued with a passenger. The captain took the decision to divert to Hungary because of Qureshi’s behaviour. He announced to passengers that it was to avoid turbulence so as not to alarm them. Qureshi refused to take his seat for landing and accused one of the cabin crew members of being racist. He was escorted from the aircraft by police after landing. The plane then continued to Turkey but was two and a half hours late. The incident cost Jet2 £6,500. Qureshi, of Hawke Avenue, Heckmondwike, pleaded guilty to interfering with a cabin crew member’s duties. Glen Parsons, mitigating, said Qureshi had committed the offence as he had a phobia of flying and had got drunk before getting on the aircraft. Mr Parsons added: “He is extremely embarrassed and ashamed of his conduct and would wish to apologise through me to all the cabin staff and all the passengers for what was disgraceful conduct. Qureshi was also banned from boarded Jet2 aircraft in the future.